I have a staff that really loves to play dress up - witness the exta cute photo that appeared on Facebok last week. I always love seeing what they're attracted to and how they put it together. 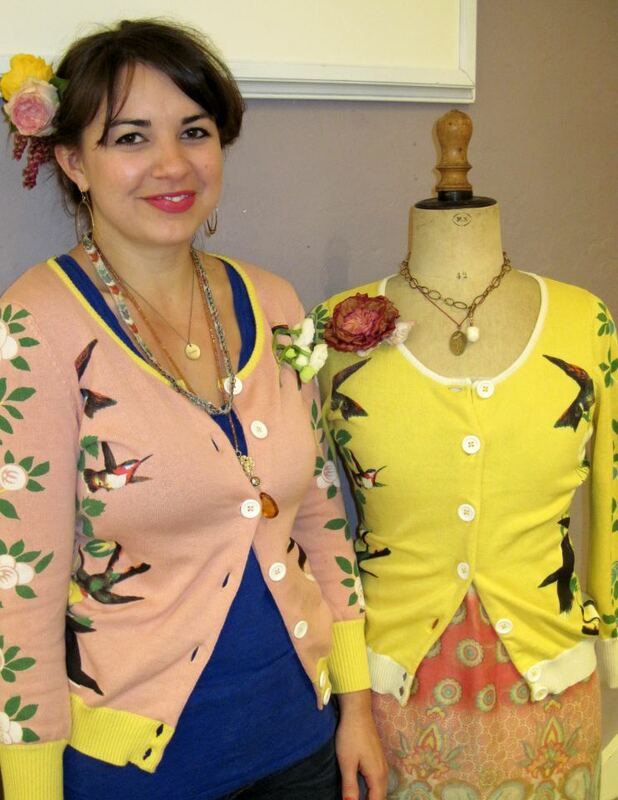 I see Sarah's wearing Susan Goodwin, Coral & Tusk and Everyday Artifact jewelry in addition to showing off the fabulous Knitted Dove hummingbird sweater. She just makes it all come together! Something about this photo just made me extraordinarily happy. And I think these would be the cutest sweaters for Easter morning.